Current trends show that in the future the world will become much more volatile, urbanised and mobile. Now, we can say that the next consumer revolution will take place in 2025-2035, as a result of which the consumption of energy and key mineral materials will grow. The role of the geological industry as a whole will increase significantly. The geological industry creates the basis for industrial development and is one of the economy drivers. Geology is developed in close connection with global processes that change the modern world. For Russia, this industry is one of the most significant, its development directly relates to the protection of state interests. This sphere is one of the main sources of income of the state budget of the Russian Federation. International cooperation of public and private companies in the field of geological exploration creates a strategic basis for further development of interstate relations. In addition, geology is one of the most knowledge intensive branches of the economy, it has a high innovative potential. This sphere is not only a source of substantial income, but also creates a large number of jobs, which also has a favourable effect on the economy of the state. The geological industry has broad prospects for development. Despite the existing world trends associated with the transition from traditional energy sources, statistics show that global energy demand will only grow by 2030. However, it is traditional energy sources which are expected to grow. Thus, the development of this sphere will become even more important. ROSGEO presents a draft roadmap for the development of geology up to 2050. Leading experts in the geological branch, scientists, representatives of related industries and minerals developers have worked out this draft for several months. The work was conducted at various expert sites during the foresight sessions. 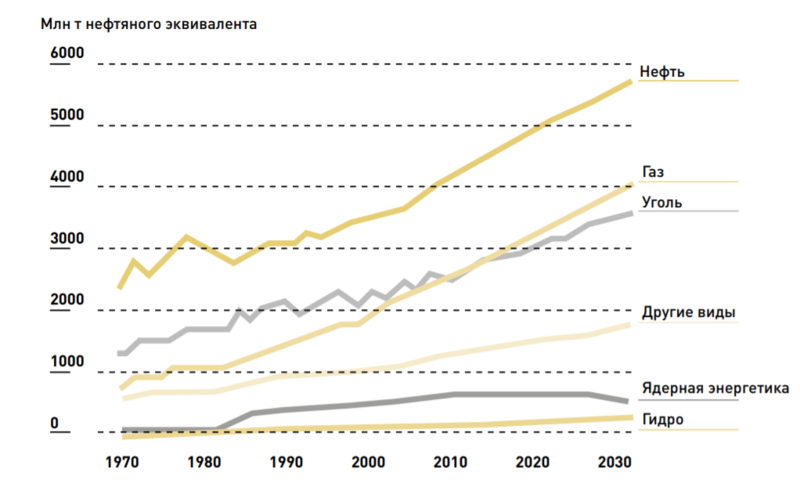 This publication by the Analytical Center for the Government of the Russian Federation provides an overview of resources, extraction, processing, domestic consumption, and exports of oil, natural gas, coal, petrochemical products, and electricity, gives infographics, and analyzes the investment climate in these sectors in Russia over the last decade.